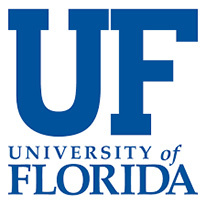 The University of Florida is one of the major research Universities in the United States. Emerging Pathogens Institute (EPI) has a major research presence in Haiti, with permanently-staffed laboratories. Investigators have conducted research on vector-borne illnesses since 2010, including recent studies of Zika virus, and has continued to monitor ZIKV infections in various health clinics in Haiti. The UF College of Veterinary Medicine is Florida’s only veterinary college, providing clinical educational experiences with all major species for students, interns, and residents and service referring veterinarians and animal owners through the UF Veterinary Hospitals and outreach programs. Research and training are supported by numerous modern laboratory facilities. The Department of Infectious Diseases and Pathology is responsible for teaching, clinical service and research involving pathology, molecular biology, microbiology and parasitology of animal diseases. Major research programs include tick-borne diseases, arboviruses, the immunodeficiency viruses of animals and humans, and mycoplasmal diseases. Emphasis is on emerging infectious diseases. Mainly involved in WP3 and WP1.